VANLUE — The Crestline Lady Bulldogs traveled to Vanlue on Saturday, December 2 to meet up with the hosting Lady Wildcats in non-league girls basketball action. Crestline was defeated on the road while searching for their first victory of the ‘17-‘18 season; 52-23. The Lady ‘Dogs are now 0-3 on the year and will open up their Mid-Buckeye Conference schedule next Saturday, December 9, at home, against the St. Peter’s Lady Spartans. The contest began promising for the vistitors and after the first quarter of play, the Bulldogs found themselves trailing by just six points; 17-11. Vanlue would, however, outscore Crestline in the second quarter, 13-5, to head into the half up big; 30-14. The third quarter saw the ‘Dogs managing just a single point as the deficit widened heading into the final frame; 44-17. Bri Briggs led the visiting squad in scoring with nine points to go along with three rebounds, an assist and a steal. Lydia Tadda finished the game with eight points, as well as a rebound, an assist and a steal. 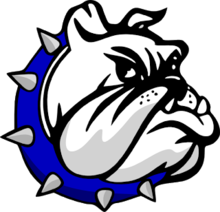 Additional stats for Crestline were: Team- 6/36 (17%) total field goals, 6/27 (22%) from the interior, 0/9 (0%) from the perimeter, 11/18 (61%) from the free-throw stripe, 18 total rebounds (5 O, 13 D), 5 assists, 5 steals and 14 turnovers; Lauryn Tadda- 3 points, 4 rebounds; Daija Sewell- 3 points, 4 rebounds; Alandra Tesso- 4 rebounds, 3 assists, 1 steal; Destiny Hoskinson- 1 steal; Kennedy Moore- 1 rebound, 1 steal and Ivy Stewart- 1 rebound. Crestline’s junior varsity team played just two quarters but recorded a 20-15 victory over Vanlue. The Lady ‘Dogs jayvee squad is now 2-1 on the year.